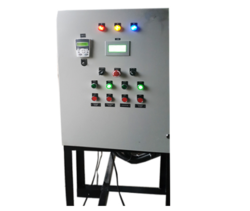 We are leading manufacturer and supplier of PLC based control panel and system. 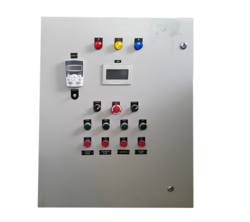 we are also manufacturing Pump Control Panels compatible to DCS system,PLC system. We specialize in manufacturing technically superior Electrical Control Panels for temperature control system. These are variously used in industrial purposes like manufacturing & engineering services. Our temperature control systems control & regulate electric flow so as to provide safety to buildings etc. Clients can avail customized products according to their requirements. We are looking for queries majorly From Ethiopia, Eritrea, Djibouti, Somalia, Egypt, Sudan, Madagascar, Mauritius, Comoros, Uganda, Rwanda, Burundi, Kenya, Tanzania, Zambia, Afghanistan, Turkey, Sudan, Iraq, Iran, Nigeria, Georgia, South Arabia, Germany, Poland and Greece etc.